The weekend was a whirlwind of fun, excitement and new experiences. Every year in December, my sister D and I take our annual pilgrimage to New York City to embrace, inhale and instill the holiday spirit within ourselves. After missing our initial flight, we were not discouraged and were off and running! Some of our trip included shopping in Nolita, touring 9/11 Memorial and Museum, wandering down 5th Avenue, experiencing true New York life and being disappointed in store staples. We also got caught up in the protests going on in New York. After researching on Monday, I found out about 25,000 protesters marched from Greenwich area (where we were) to 5th Avenue (where we were trying to go) and we got caught up in that driving nightmare in our taxi. But hats off to our cabby. He did everything he could and got us back to the hotel. He even knocked off $$ because of the inconvenience! Thank goodness we did not have to walk the 2 miles back to the hotel. We would have been swallowed up in the protest! EEK! 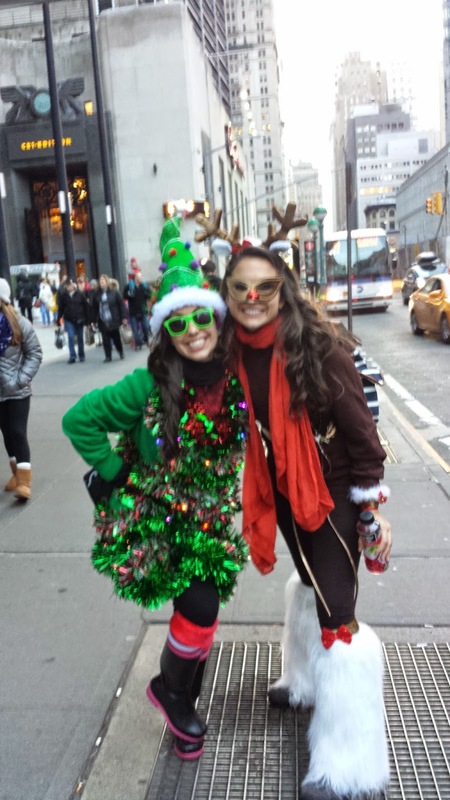 Oh and we always, although never planned, are in New York for the annual SantaCon. People dress up in Santa suits (or anything holiday i.e. 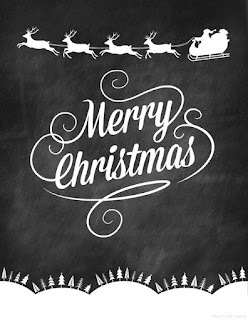 : trees, candy canes, reindeer, etc) and do a pub crawl. Funny! Had a great time! Loved everything we did and all the new favorite haunts we found! So that was my weekend in a nutshell! 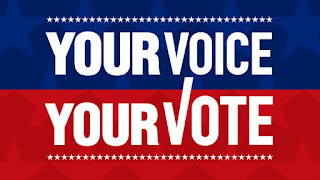 Recommendations and links listed below. What new places do I need to try next year?? 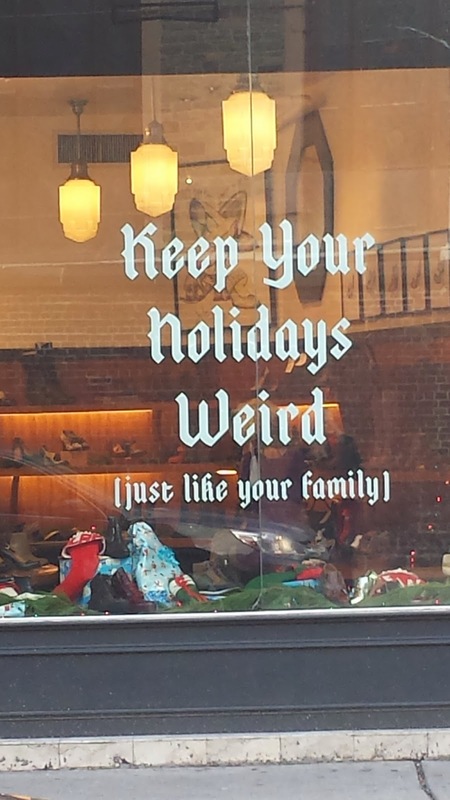 Store front in Nolita that spoke to us! 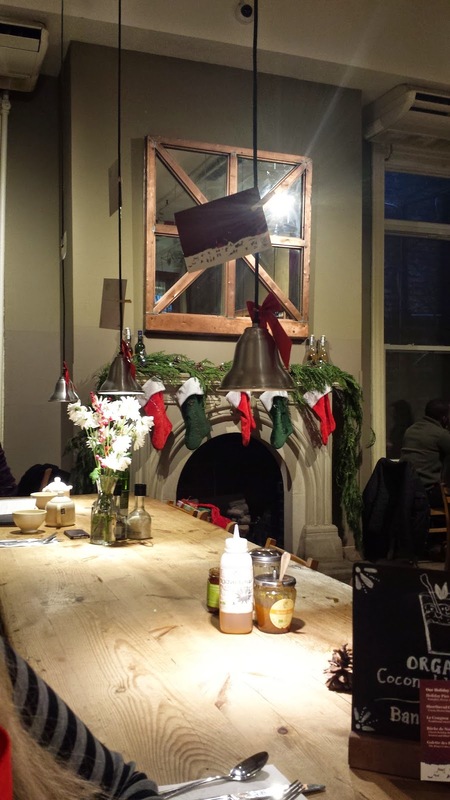 Le Pain Quotidien restaurant…so festive! 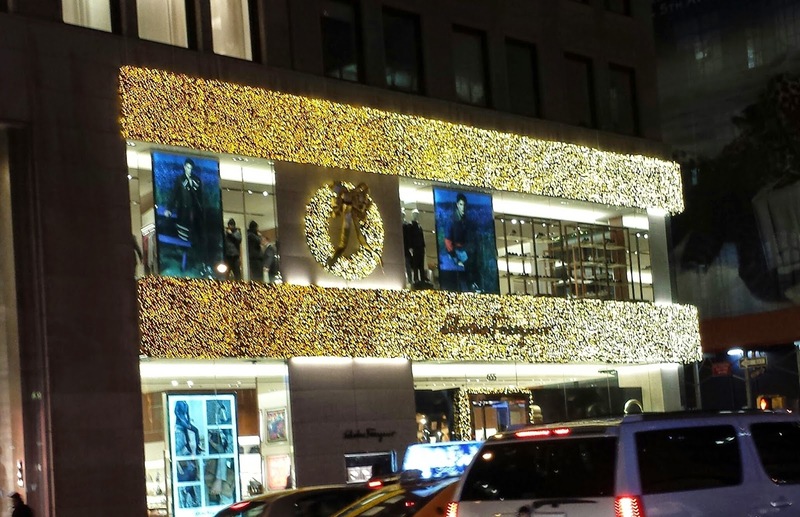 Ferragamo on 5th Ave. The most lights on a store! 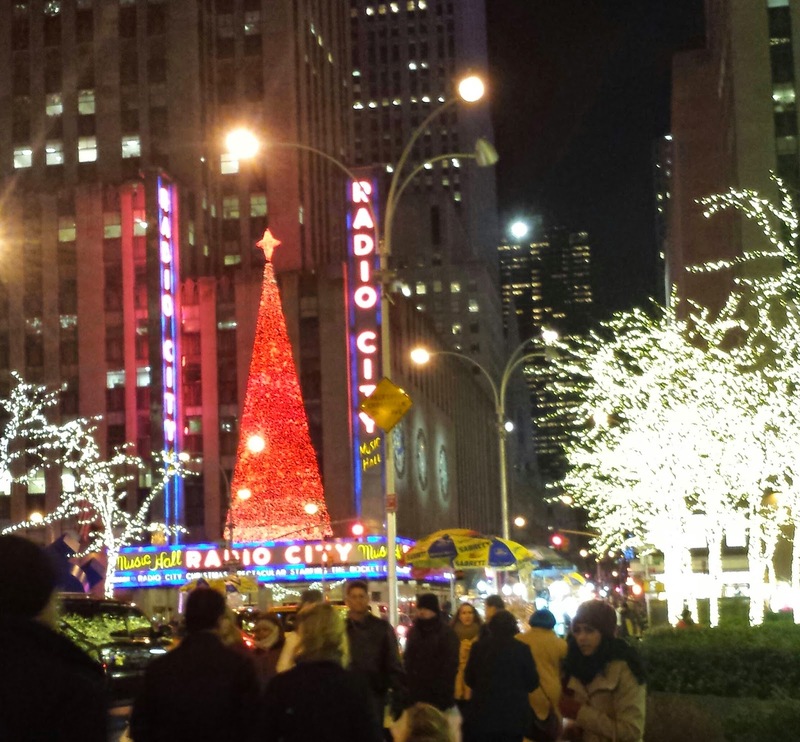 Radio City, a must stop for all to see! Xia Xia South African Wine Bar: we love the tapas menu! Le Pain Quotidien: ate breakfast there every morning. Loved loved loved their Moroccan Mint tea! Spring Street Natural: so natural, refreshing and healthy! Quinoa salad to. die. for! Uniqlo: On 5th Ave. Great place for normal clothes for the whole family, reasonably priced! Aesop: on Elizabeth St in Nolita: great lotions, face wash, shampoos, etc. It originated in Melbourne, Australia.